Have you had these guy's burger? 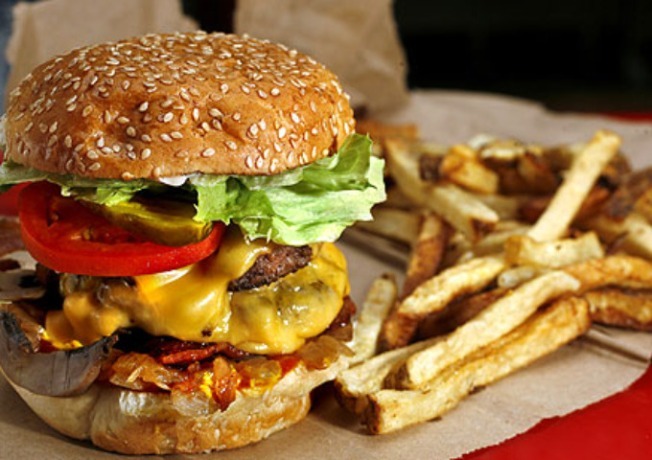 Five Guys is the fastest -- the fastest growing food chain in the country, that is. Other familiar names were Chipotle at #8 and Potbelly Sandwich Works at #10. The gains among the top ten come despite the recession and annual sales declines among the 500 largest chains, reports the Washington Business Journal. Five Guys opened its first restaurant in Arlington back in 1986. It’s now frying up burgers in 550 locations across 35 states. In the Washington region, there are now 23 Five Guys.